In France, the energy market has undergone a progressive liberalisation as a result of the European plan to establish a unique energy market that would end national monopolies. This has naturally led to an important legislative and regulatory change, which was codified by an Order dated 9 May 2011 and which created the legislative part of the French Energy Code.2 This Code sets out provisions relating to electricity, gas, renewable energy, hydropower, oil and both heating and cooling networks. This chapter will focus mainly on electricity and gas markets since they have been the main energy markets affected by such changes. It should, however, be underlined that the other sources of energy are also subject to specific regulation. As a matter of history, after the Second World War, to rebuild the infrastructure and the network, the French authorities decided to grant a state monopoly to Electricité de France (EDF) and Gaz de France (GDF, now Engie) with regard to the production, transportation and distribution of electricity and gas respectively.3 This situation remained substantially unchanged for half a century until France had to implement into its national law two Directives dated 1996 and 1998 adopted by the European Commission to promote an effective and efficient internal energy market, open to competition. These directives were progressively transposed into French law as of 2000 and initiated the beginning of the liberalisation, although initially only large industrial consumers could benefit from this system. Although significant progress had been made, the European Commission adopted the Third Energy Package to further liberalise the energy market, which included two new directives5 replacing the former electricity and gas directives. These directives were transposed into French law on 7 December 2010 by a new law commonly referred to as 'Law NOME',6 which led to the removal of several obstacles to the development of competition in the French electricity market. Greater price liberalisation for industrial and residential customers has been achieved, notably by requiring EDF to sell a substantial part of its existing nuclear facilities to alternative suppliers at a regulated price, from January 2011 to 2025, so as to allow alternative suppliers to compete fairly with the historical supplier. Finally, France launched an energy transition with the adoption of Law No. 2015-992 on 17 August 2015. This law established new rules supporting renewable energy production and stated ambitious objectives that were specified by the multi-annual energy programming for the period 2016–2023. Compliance with the new energy market regulations is mainly controlled by the Commission of Regulation of Energy (CRE), the sectoral regulator, which was created by the Law dated 10 February 2000.7 Its overall mission is to 'contribute to the proper operation of the electricity and natural gas markets, to the benefit of final customers'. additional powers (processing of tenders for electricity generation, etc.). The CoRDiS committee, which is an independent body of the CRE, acts in matters where the CRE has competence with regard to sanctions, and settles disputes related to the access and use of public electricity grids and natural gas networks. Further, an energy ombudsman has been put in place whose role is to provide consumers with all necessary information concerning their rights, current legislation and the means of dispute settlement available to them in the event of a dispute. Finally, the Higher Energy Council is a body established by the Ministry of Energy that is composed of several members including Members of Parliament. Its main purpose is to advise on national energy policy. The Council is consulted on regulatory acts relative to such policy and on electricity and gas market-related decisions. The energy market is composed of four main areas of activity: production (generation), transmission, distribution and supply (commercialisation). Under the previous regime, which was applicable until 2000, these four activities were carried out by EDF and GDF, which self-regulated the monopoly. the transaction does not meet the EC Merger Regulation thresholds. The examination process by the FCA is twofold. In Stage I (which takes up to 40 working days), the FCA has 25 working days to examine the transaction starting from the date when a complete notification is received. When remedies are proposed to the FCA, this period is extended by up to 15 working days. At the end of this period, the FCA can clear the transaction, with or without remedies or proceed to an in-depth investigation. In the absence of any decision, the transaction is tacitly cleared. Stage II takes between 65 and 85 working days. If serious doubts remain as to the competitive impact of the transaction, the FCA proceeds with an in-depth investigation. During Stage II, if the transaction relates to a regulated area, the FCA may request a non-binding opinion from the relevant regulator (e.g., the CRE). At the end of Stage II, the FCA can either clear the transaction with or without remedies or prohibit the transaction. Vertical integration is the process in which different aspects of the market are controlled by a common company or entity. Prior to the deregulation of the energy industry, French energy companies were largely vertically integrated, which created potential conflicts of interest and monopoly situations. The European Commission issued Directives 2003/54/EC and 2003/55/EC principally to ensure efficient and non-discriminatory network access, ensure free choice of suppliers by consumers, and encourage investment. This legislation was transposed into the French system by a Law dated 9 August 2004, which provided for a legal unbundling of regulated activities (distribution and transmission) from non-regulated activities (production and supply). After an inquiry launched in 2005 by the European Commission, however, serious shortcomings in the electricity and gas markets were identified, including an inadequate current level of unbundling between network and supply interests deemed to have negative effects on the market and investment.19 Consequently, under Directives 2009/72/EC and 2009/73/EC, priority was given to achieving effective unbundling of network and supply activities. As explained above, these directives were transposed into French law so that the transmission and distribution system operators would be legally and fully unbundled companies. Accordingly, transmission and distribution system operators must be equipped with all the necessary human, technical, physical and financial resources to fulfil their obligations under French law and, in particular, they must own the assets necessary for their activity. There are currently three natural gas terminals in France: Fos Tonkin and Fos Cavanou, both near Marseille, and Montoir-de-Bretagne, near Saint-Nazaire. Tariffs for the use of natural gas terminals, which are regulated, are set by the CRE. Access tariffs to networks aim at guaranteeing transparent and non-discriminatory access to public networks. These fees are calculated in a way that cover all costs supported by the system operators (costs arising from their public service duties, the research and development needed to increase the transmission capacity, and the grid connection). In addition, in order to ensure energy autonomy, France has put in place a capacity market that entered into force on 1 January 2017. The capacity mechanism aims at encouraging demand management, especially during peak hours, via the purchase or sale of certificates depending on whether energy consumption needs are met. brokers or traders who purchase gas or electricity for resale and thus favour market liquidity. As most of the activity in the wholesale gas market and wholesale electricity market takes place over the counter, through direct transactions or through intermediaries (brokers and trading platforms),33 the opening of these markets to competition has led to the emergence of organised markets, namely trading platforms (such as Epex Spot France or EEX Power Derivatives France). Even if the supply of energy is open to competition, it is still subject to certain requirements and monitoring. Third, free competition is limited with respect to pricing practices since, in certain circumstances, 'regulated tariffs' may be chosen within the electricity market by customers having contracted for less than 36kVA.36 However, because of the European Commission's unhappiness, especially with the electricity retail market and the dominant position exercised by EDF, Law NOME ended 'regulated tariffs' for customers having contracted for more than 36kVA by 31 December 2015.37 Furthermore, in the gas market, the suppression of gas-regulated tariffs for all non-domestic consumers entered into force on 1 January 2016.38 The removal of these tariffs has induced more competition, with new participants entering the wholesale market, even though price differences remain small. Finally, the Contribution to the Public Electricity Service, which has been funded since 2016 by the domestic consumption tax on electricity for end users, has been created to compensate public service charges assigned mainly to EDF, such as support schemes for renewable energy or social electricity tariffs. The legal unbundling between the production and the distribution activities imposed by the energy market creates several inconveniences for the consumer who, as a result, gets an increasing number of contractors, the responsibilities of which are diminished. To prevent this, the Law dated 7 December 2006, completed by the Law NOME, created a new section in the French Consumer Code entitled 'electricity supply or natural gas contracts',39 the provisions of which apply to contracts concluded by consumers and professionals for less than 36kVA (electricity) or less than 30,000kW (gas). The energy supplier 'must give the client an opportunity to sign a single contract dealing with both the supply and the distribution of electricity or natural gas'.40 This contract, which should at least last for one year, thus creates a tripartite relationship between the supplier, the distributor and the consumer, even though the supplier often remains the consumer's main interlocutor. Finally, the implementation of legal frameworks for the self-consumption of electricity and for closed energy distribution systems, such as the one set up by Order No. 2016-1725 of 15 December 2016 subjecting the operation of these systems to the issuance of an administrative licence, might enhance the development of local energy markets for the upcoming years. In July 2007, the French government launched the Grenelle Environment Forum, a major national consultation that led to the emergence of priority targets in terms of controlling energy consumption and promoting renewable energies. This forum led to the enactment of two 'Grenelle Laws', on 3 August 2009 (Grenelle I) and 12 July 2010 (Grenelle II) respectively,44 aiming at promoting environmental objectives such as the increase of the share of renewable energy to at least 23 per cent of final energy consumption before 2020, in accordance with European Union Directive 2009/28/EC. These laws were codified in a separate section dedicated to renewable energy in the French Energy Code. More recently, Law No. 2015-992 of 17 August 2015 on energy transition and its several implementing decrees substantially modified the applicable legal framework on renewable energy. To enhance the development of renewable energies, public authorities can use two economic instruments: (1) the purchase obligation,45 requiring EDF to buy electricity produced from renewable sources, for a regulated tariff over a long period, which can be changed and is slightly higher than the market price; and (2) the supplementary remuneration,46 which provides that EDF is obliged to enter into a contract for the purchase of electricity – whose duration shall not exceed 20 years – with renewable energy producers, according to which an additional remuneration shall be paid to them. Decree No. 2016-682 of 27 May 2016 on the purchase obligation and on the supplementary remuneration. To achieve a 20 per cent increase in energy efficiency, in accordance with the climate and energy package, on 25 October 2012 the European Union adopted Directive 2012/27/EU on energy efficiency. 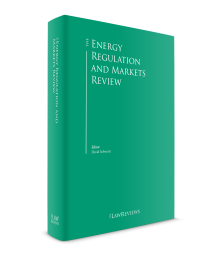 It lays down rules designed to remove barriers in the energy market and to overcome market failures that impede efficiency in the supply and use of energy, and provides for the establishment of indicative national energy-efficiency targets for 2020. Directive 2012/27/EU also includes several provisions related to the development of smart grids and smart meters, the aim of which is to reduce bills by paying what was really consumed and by understanding consumption patterns better. The development of smart grids is based on the idea that it improves energy efficiency and better integrates renewable energy resources in the network. The development of smart grids has also been decided in France. Indeed, a Decree dated 31 August 2010 provided that new connection points must be equipped with smart meters from 1 January 2012 and provided for a test run or pilot for such equipment. Following the governmental announcement that 35 million smart meters will be provided to electricity customers throughout the country by 2020, the deployment started in December 2015. 2017 and the beginning of 2018 were characterised by several developments in the energy sector. In spite of the COP22's49 final plea to the US President-elect, President Donald Trump announced on 1 June 2017 that the United States would withdraw from the Paris Agreement,50 stating that it would 'undermine [the US] economy' and 'put [the US] at a permanent disadvantage'. This withdrawal process will not conclude until the 2020 US election. Held in Bonn from 6 November to 17 November 2017, the 23rd session of the Conference of the Parties to the UNFCCC, presided over by the government of Fidji, mainly led to discussions on the implementation methods of the Paris Agreement. Special focus was set on the coal phase-out, with the launch of the 'Powering Past Coal Alliance' led by the United Kingdom and Canada. Joined by more than 20 countries, including France, the Alliance's signatories committed to the progressive shutdown of their coal-fired power plants. Following Order No. 2016-1019, dated 27 July 2016, ratified by Law No. 2017-227 of 24 February 2017, and in a context of strong development of self-consumption of electricity, on 28 April 2017 the French government issued Decree No. 2017-676. This Decree notably specifies the obligations of the public electricity distribution system operators in the implementation of collective self-consumption operations. Decree No. 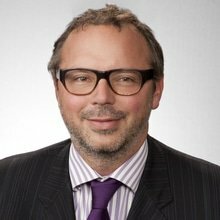 2017-1113, dated 27 June 2017, provided additional details in relation to the mediation process that can be undertaken before the energy ombudsman, coordinating the mediation procedure of the French Energy Code with the provisions of the French Consumer Code. This alignment enables the application to the mediation of the energy sector of certain general rules such as the gratuitousness of the mediation for the consumer, as well as the specific deadline granted to the ombudsman to communicate his or her solution to the dispute. The French government issued two decrees amending the regulatory provisions of the French Energy Code relating to energy efficiency. Decree No. 2017-690, dated 2 May 2017, implemented a fourth period of energy efficiency obligations, extending from 1 January 2018 to 31 December 2020, and set the level of obligations for said time period. Decree No. 2017-1848, dated 29 December 2017, laid out new conditions regarding the possibility to delegate part of one's obligation of energy efficiency to one or more third parties. Both decrees came into force on 1 January 2018.
the prohibition of installation of any new coal plant that is not equipped with a system of gas capture or storage. The debate organised by the CNDP began on 19 March 2018, and will come to an end on 30 June 2018. 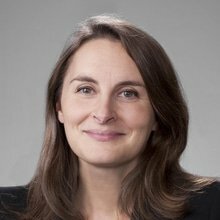 In a decision dated 19 July 2017, the French Council of State, France's highest administrative court, repealed the Order of 16 May 2013 concerning regulated tariffs for the sale of natural gas, considering that the legal framework regulating the setting of these tariffs, provided for in Articles L445-1 to L455-4 of the French Energy Code, was contrary to European law. The court's decision did not have an immediate impact on regulated gas prices in France, as it neither questioned existing contracts, nor did it request the French government to organise the extinction of said tariffs. However, the ruling was much anticipated. By contrast, regarding the electricity market, the French Council of State has just rendered a decision on 18 May 201852 in which it confirms the principle of regulated tariffs for non-professionals and other similar consumers. France's highest administrative court explains its decision by insisting on the specificity of electricity and its high market volatility. On 6 July 2017, Environment Minister Nicolas Hulot unveiled the details of France's climate action plan, showcasing France's commitment to speeding up the operational implementation of the Paris Agreement, the plan aiming for such goals as carbon neutrality by 2050 and the end of sales of fossil fuel-powered cars by 2040. Law No. 2017-1839, adopted on 30 December 2017, brought to a definite end the search and exploitation of hydrocarbons. The government's principal aim being the progressive phase-out of the hydrocarbon production on the French territory by 2040, the law provides that no new research permit for hydrocarbons will be granted by the government. Moreover, the existing exploitation concessions will not be able to be renewed past 2040. Shale gas exploration will also remain prohibited in France. Law No. 2017-1839 also contains a reform regarding access to underground natural-gas storage. The reform abandons the negotiated access system for a new regulated access of third parties, with new rules of commercialisation and a regulated tariff, the key purpose being better guaranteeing to the consumers of natural gas the security of supply. Since 2007, the liberalisation of the energy market and the energy transition continue together step by step. While historically France is strongly committed to a public energy service, a huge step towards liberalisation and energy transition has been achieved in the past few years, notably so with the end of regulated tariffs and the adoption of the Law on Energy Transition on 17 August 2015, which aims at developing the role of renewable energies. Furthermore, the implementation of President Emmanuel Macron's energy programme will have to be followed. Emmanuel Macron thus notably intends to maintain the objective of reducing the part of nuclear energy to 50 per cent of electricity production, to close all coal-fired power plants within five years, to fix a bottom carbon price for the European Union, to double the capacity of wind and solar energy production and to maintain the prohibition of shale gas exploration. Finally, the amendment and the adoption by the European Parliament and Council of the European Commission's Fourth Energy Package and its transposition and implementation by France will have to be closely monitored. Containing proposals for no less than four Regulations and four Directives, the EC's Fourth Energy Package may well have an impact on the French regulation of the energy market. 1 Fabrice Fages and Myria Saarinen are partners at Latham & Watkins AARPI. This chapter was written with the assistance of Julie Ladousse, an associate at the firm, and Alexandre Bay, law clerk. 2 Order No. 2011-504 of 9 May 2011. 3 Law No. 46-628 of 8 April 1946 concerning the nationalisation of electricity and gas, repealed by Law No. 2004-803. 4 Law No. 2004-803 of 9 August 2004 concerning the electricity and gas public service and the electricity and gas companies; Law No. 2005-781 of 13 July 2005 setting out the guidelines for energy policy regarding professionals; Law No. 2006-1537 of 7 December 2006 related to the energy sector. These laws transpose (1) Directive 2003/54/EC of 26 June 2003 concerning common rules for the internal market in electricity and repealing Directive 96/92/EC, and (2) Directive 2003/55/EC of 26 June 2003 concerning common rules for the internal market in natural gas and repealing Directive 98/30/EC. 5 Directive 2009/72/EC of 13 July 2009 concerning common rules for the internal market in electricity and repealing Directive 2003/54/EC; Directive 2009/73/EC of 13 July 2009 concerning common rules for the internal market in natural gas and repealing Directive 2003/55/EC. 6 Law No. 2010-1488 of 7 December 2010 establishing a new organisation of the electricity market. 7 Articles L131-1 to L135-16 of the French Energy Code. 8 Article L134-16 of the French Energy Code. 9 Law No. 2004-803 of 9 August 2004 concerning the electricity and gas public service; Law NOME. 10 Local distribution companies are defined by Article L111-54 of the French Energy Code. 11 Articles R311-1 et seq. of the French Energy Code. 12 Article L311-5 of the French Energy Code. 13 Articles L131-1, L132-3 and L132-4 of the French Mining Code. 14 Articles L111-67 and L111-68 of the French Energy Code. 15 Article L111-69 of the French Energy Code; Article 31 of Order No. 2014-948 of 20 August 2014. 16 Articles L430-1 and L430-2 of the French Commercial Code. 17 See, for example, the decision of the FCA dated 7 February 2012: the FCA made its authorisation of the acquisition of Enerest by Electricité de Strasbourg conditional on a number of commitments designed to resolve competitions concerns, such as the commitment not to make offers for two energies that include at least one component at a regulated tariff. This commitment, the effectiveness of which is to be guaranteed by separating the sales teams responsible for electricity and gas at Electricité de Strasbourg, notably eliminates any risk of the company using its business of supplying energy at regulated tariffs as a tactic to win customers on the open market. 18 Article L151-3 of the French Monetary Code. 19 Final report from the Commission relating to the inquiry pursuant to Article 17 of Regulation (EC) No. 1/2003 into European gas and electricity sectors, dated 10 January 2007. 20 Articles L111-91 et seq. of the French Energy Code. 21 Articles L134-25 et seq. of the French Energy Code. 22 Articles L111-93 (for electricity) and L111-102 et seq. (for gas) of the French Energy Code. 23 Article L111-61 of the French Energy Code. 24 Article L134-15 of the French Energy Code. 25 Articles L211-2 and L 231-1 of the French Mining Code. 26 Articles L421-5 and L421-8 of the French Energy Code. 27 Articles L341-3 (electricity), L452-2 and L452-3 (gas) of the French Energy Code. 28 Articles L121-1 (electricity) and L121-32 (gas) of the French Energy Code. 29 Article L143-1 of the French Energy Code. 30 Article L143-4 of the French Energy Code. 31 Article L143-7 of the French Energy Code. 32 Article L331-1 of the French Energy Code. 33 CRE, Electricity and gas market report, fourth quarter of 2011. 34 Articles L333-1 (electricity), L443-1 and L443-2 (gas) of the French Energy Code. 35 Article L131-3 of the French Energy Code; www.cre.fr/en/markets/wholesale-market/introduction. 36 Article L337-7 of the French Energy Code. 37 Article L337-9 of the French Energy Code. 38 Article L445-4 of the French Energy Code. 39 Articles L224-1 to L224-5 of the French Consumer Code. 40 Article L224-8 of the French Consumer Code. 41 Articles R242-6 to R242-15 of the French Consumer Code. 42 Article L224-15 of the French Consumer Code. 43 Order No. 2016-518 dated 28 April 2016; Decree No. 2016-530 dated 27 April 2016. 44 Law No. 2009-967 of 3 August 2009 relating to the implementation of the Grenelle Environment Forum; Law No. 2010-788 of 12 July 2010 relating to national commitment for the environment. 45 Articles L314-1 to L314-13 of the French Energy Code. 46 Articles L314-18 to L314-27 of the French Energy Code. 47 Article L233-1 of the French Energy Code. 48 Article R234-1 of the French Energy Code. 49 From 7 November to 18 November 2016, Marrakech hosted and presided over the 22nd session of the Conference of the Parties to the UNFCCC, which mainly led to discussions on the implementation methods of the Paris Agreement. The commitments of the signatory countries (such as reducing greenhouse gas emissions) will only enter into force in 2020. 50 The Paris Agreement entered into force on 4 November 2016, after 55 countries that account for at least 55 per cent of global emissions had ratified it. The aim of such Agreement is 'to strengthen the global response to the threat of climate change'. 52 French Council of State, 18 May 2018, Nos. 413688, 414656.